I have had fun all this week creating festive and spooky Halloween eats. In fact, I already have a list half a mile long, of ideas for Halloween treats for next year’s Ghoulish Grub week (or heck, maybe even a month’s worth of crazily, creative Halloween eats awaits!). 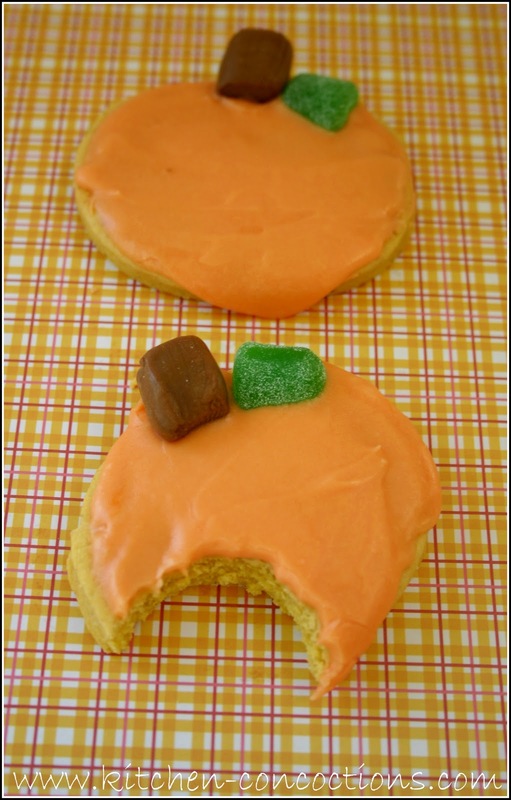 This last recipe could have been featured last week as part of pumpkin week, but these cookies turned out just too darn cute NOT to be part of a Halloween spread of food. 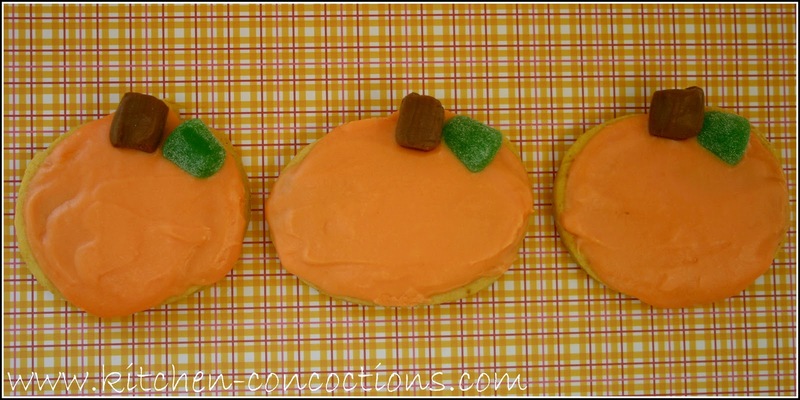 Not only are these homemade sugar cookies soft and slightly sweet, they are adorably decorated (inspired by these cookies seen here), and they even taste like the flavors of fall! They were loved by all and will defiantly become a tradition! In a large bowl, cream together the butter and sugar for 3-4 minutes, until the mixture is light and fluffy. Add the egg and mix well. Mix in pumpkin puree and vanilla extract. In a spate bowl, mix together flour, baking powder, salt, and pumpkin pie spice. Gradually add flour mixture to butter mixture, mixing just until flour is incorporated and the dough is smooth and soft. To make cookies, dust counter with flour and roll the dough to desired thickness about 1/4-inch. Cut the dough into desired shapes. Place the cookies on baking sheet. Bake for 8-10 minutes, being careful not to over bake. Allow cookies to cool before frosting and decorating. In a large bowl, combine the powdered sugar, butter, vanilla, almond extract, and cream/milk. Mix until very smooth and light and no lumps remain. Stir in food coloring. Frost with orange tinted food coloring and Tootsie Roll Midgets and Green Gum Drops, cut in half.